Patrick’s last three singles recently made top 5 nationally on the Billboard Charts on his independent label, and Patrick has been inducted as one of the youngest members into the Oregon Music Hall of Fame. Recently given the Independent Spirit Award by the City of Portland, Patrick regularly tours the world as the ‘saxophonist to the stars’ with Grammy winners and luminaries Gino Vannelli, Bobby Caldwell, Jeff Lorber, Tommy Thayer, Diane Schuur, Bobby Kimball, Alice Cooper, and Smokey Robinson. Patrick also demonstrates a deep sense of community awareness and civic responsibility. He has performed for numerous fund- raisers to raise consciousness about the loss of funding for the arts in public schools. For corporate and exclusive events, Patrick takes you on a journey with his polished dance band with repertoire especially tailored for a variety of musical palates, featuring some of the best musicians in the northwest. 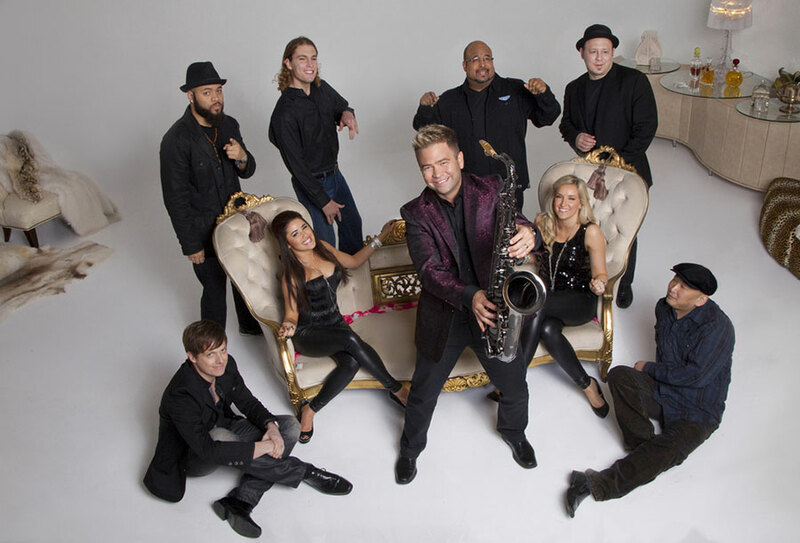 Patrick’s band is American Soul – a journey through Motown, 70’s funk and high-energy dance music. He can also provide a more traditional sophisticated jazz feel – perfect for the cocktail hour.